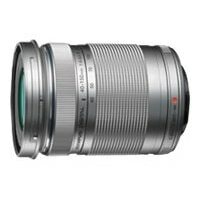 The M.Zuiko Digital ED 40-150 mm 1:4.0-5.6 R has now arrived. It features a optimized overall design in a stylish metal look. It's small, lightweight and variable in performance, perfect for close-up portraits or long distant scenes and it is flexible for indoor or outdoor use. You can use this high power zoom as perfect companion of your standard kit lens without traveling with too much equipment. It comes with a unique screw drive mechanism, which is especially quiet and fast (MSC) perfect for shooting films and taking rapid-fire still shots. It keeps you on your toes for your next subject, whether moving or not.